The roundup was on hiatus last week for a little R&R in the California desert, which is an endless panorama of reminders that even the biggest slabs of rock eventually turn to sand. We returned this week to find the mountain otherwise known as the Pfizer-Allergan merger crumbling before our eyes under pressure, not from heat, wind, and torrential rain, but new U.S. tax rules. Tax-seductive Ireland, where Pfizer aimed to relocate through the “inversion” merger, is far from the West Coast. But the two now-thwarted parties have ties to our homeland, not least of which were Pfizer’s ill-fated plans to press its footprint into the wet cement of San Francisco’s Mission Bay neighborhood by combining its Bay Area teams under one roof—the Biotherapeutics and Bioinnovation Center, or BBC, run by biotech vet Corey Goodman. But the firm’s 2009 Wyeth merger kyboshed those plans, and Goodman left the company soon after. Mergers, consummated or not, have massive effects. The newly un-betrothed Allergan has wasted no time, announcing late Wednesday a licensing deal for experimental neurological treatments with British firm Heptares Therapeutics. We’ll keep an eye on how the scuttled Pfizer-Allergan deal might affect their current West Coast employees and partners—or their deal-making plans—in coming months. For those actually HQ’ed out West, it’s been busy, too. Since there was no roundup last week, we present here a few nuggets from the end of March, along with the highlights of the past few days. Let’s start things off with news about NASH. No, not that one, although he apparently lives in California. And not that one, either. Enough dribbling around, let’s shoot right to the roundup. —Gilead Sciences (NASDAQ: GILD) of Foster City, CA, augmented its pipeline of experimental drugs to fight the fatty liver disease known as NASH with a $400 million deal. Gilead is buying a Phase 1 drug from Cambridge, MA-based Nimbus Therapeutics, which is organized to sell off assets without breaking up the company. Nimbus could reap $800 million more if Gilead brings the drug to market. That could take several years. In the meantime, Gilead’s NASH rival Intercept Pharmaceuticals (NASDAQ: ICPT) is hearing from FDA advisors this week about its drug obeticholic acid (OCA), which the agency is considering as a treatment for a rare form of liver disease caused by autoimmune attack. If that review goes well, Intercept’s ambitions to get OCA approved for NASH in a couple years will get a boost. The spike in NASH cases in recent years, which could soon make it the leading cause of U.S. liver transplants, has been driven in part by the obesity epidemic. Gilead’s interest in NASH is building as it fights a patent war with Merck over hepatitis C patents; Gilead lost a round in that fight in late March. —Human Longevity, the San Diego startup launched by Craig Venter in 2014, pulled in $220 million in venture cash, fueling its ambitions to create a host of genome-based services, including a “concierge” health service that could charge up to $50,000 per person. The firm also announced two promotions and a new hire. —Xconomy Seattle editor Ben Romano sat down with two Seattle scientists, Darrick Carter of the Infectious Disease Research Institute and Aaron Feaver of energy storage firm EnerG2, for a wide ranging conversation about the urgency to innovate, the balance of work and family, and much more. —STAT reported last week on troubles at Verily, formerly known as Google Life Sciences, in large part fomented by the personality of CEO Andy Conrad. STAT this week has followed up twice: first with a conversation with Conrad, who had previously refused to speak with STAT for months, then today with a story that reveals that a key Verily project, a long-term health study called Baseline, granted a contract to a Los Angeles-area health spa owned by Conrad. STAT also says it’s not clear whether volunteers recruited to Baseline have been told that their data could be packaged and sold to third parties, such as pharmaceutical companies looking for clues to help with drug development. —Culver City, CA-based NantKwest (NASDAQ: NK), part of Patrick Soon-Shiong’s Nantworks biomedical conglomerate, said it would work with National Cancer Institute scientists to develop modified immune cells and antibodies as elements for cancer treatment combinations. —Soon-Shiong was also one of several West Coasters included in the 33-member advisory panel for the Obama administration’s cancer “moonshot” initiative. Unveiled this week, the panel also has people from the University of California, San Francisco, the University of California, San Diego, Amazon, and the Lawrence Livermore National Laboratory in Berkeley. —Invitae (NASDAQ: NVTA) of San Francisco said last week it expanded its product line, with tests that now cover more than 1,000 genes. —Alder Therapeutics (NASDAQ: ALDR) of Bothell, WA, released clinical data for its experimental drug to treat migraines. The firm said the drug met its goals in a 600-person Phase 2b study and showed in a separate study it might work with an injection once every three months. A bit of history: One of Alder’s migraine rivals is a drug developed at a company that Pfizer bought last decade. When Pfizer’s San Francisco biotech center fell apart and Corey Goodman left, he kept an eye on the drug, then extracted it years later to form a company around it. He and his fellow investors sold the company, Labrys Biologics, to Teva Pharmaceutical in 2014. —Seattle’s Oncothyreon (NASDAQ: ONTY) said last week it has hired Scott Myers as its new CEO. 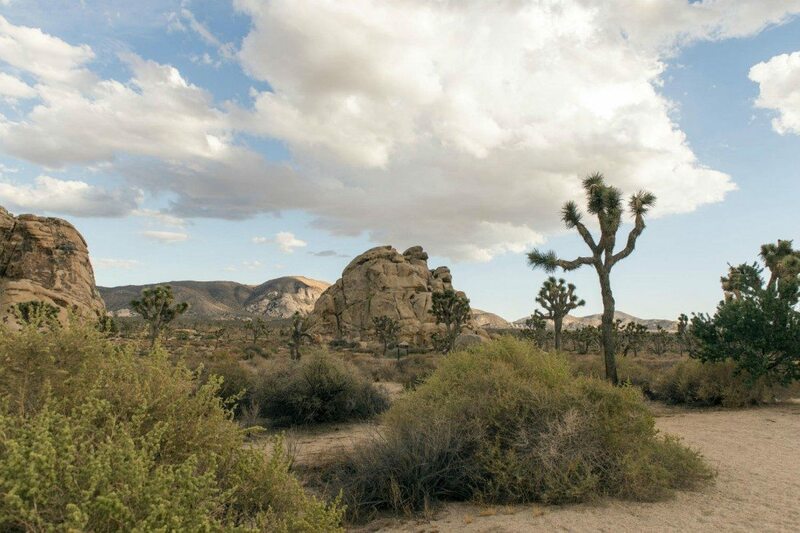 Photo “Joshua Tree National Park” courtesy of Christopher Michel via a Creative Commons license.